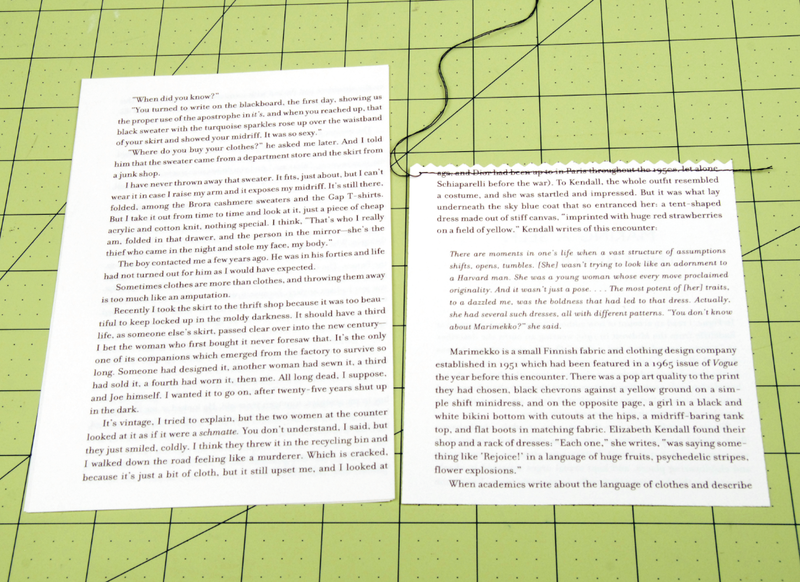 One of my favorite things to do is sew paper. My 2nd favorite thing to do is pick up damaged books on the street and try to give them another life. 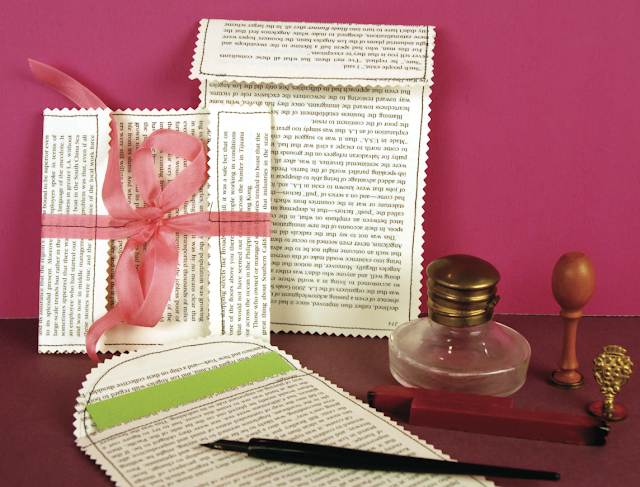 Pair those together and you get these lovely envelopes (which by the way also make a terrific gift in sets of 10) People will appreciate that you took the time to make them something special that they can actually use. The bonus is you’ll definitely get one back in the mail when they send you a thank you card. Is that so wrong? Here's my how to video! 1. 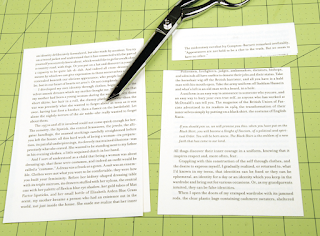 Cut out 4 book pages and trim them to all the same size. 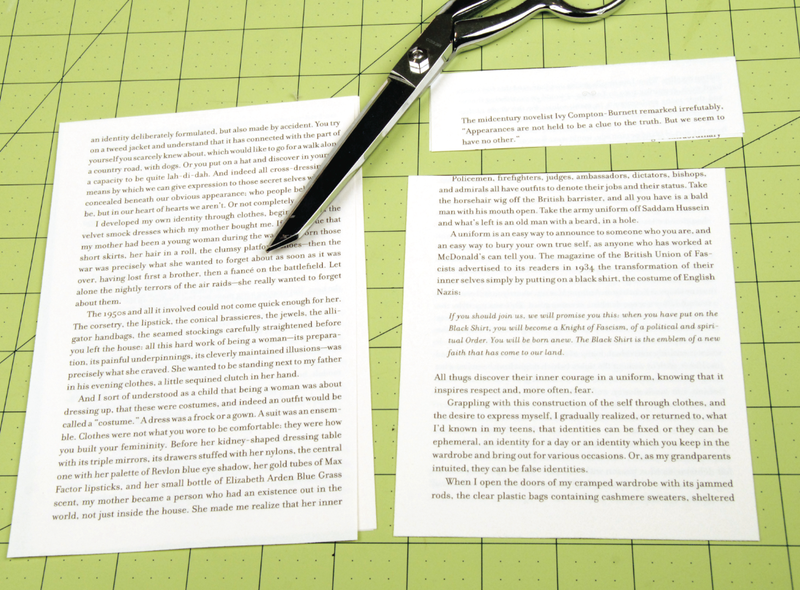 Each side of your envelope will be 2 pages thick so it’s nice and stong. 2. 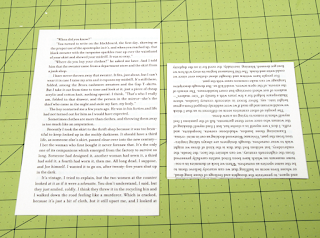 Cut 2 of the 4 pages about 1 1/2” shorter than the other two. 3. Stitch across the top shorter pages with your sewing machine. 4. 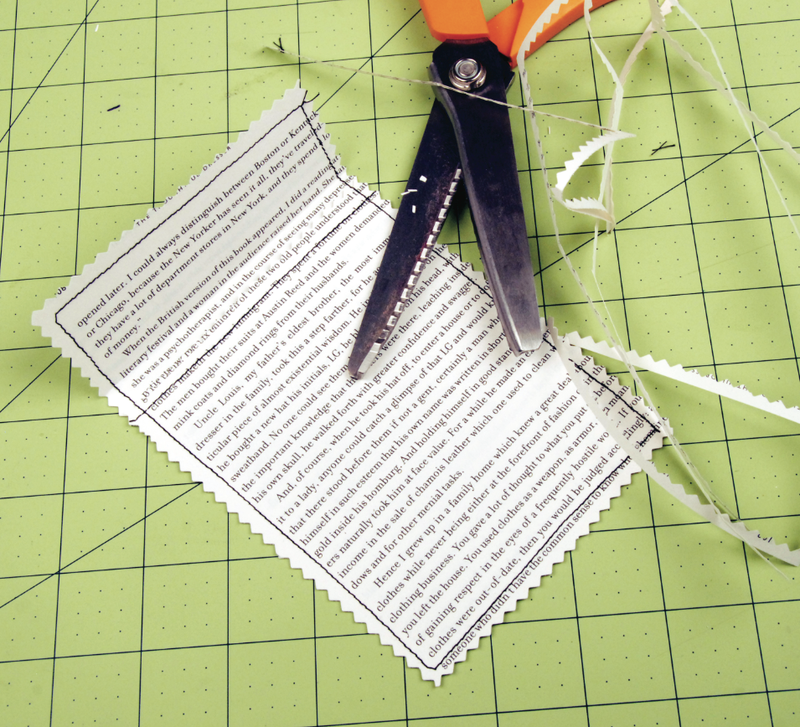 Cut above that stitch with your pinking shears. 5. 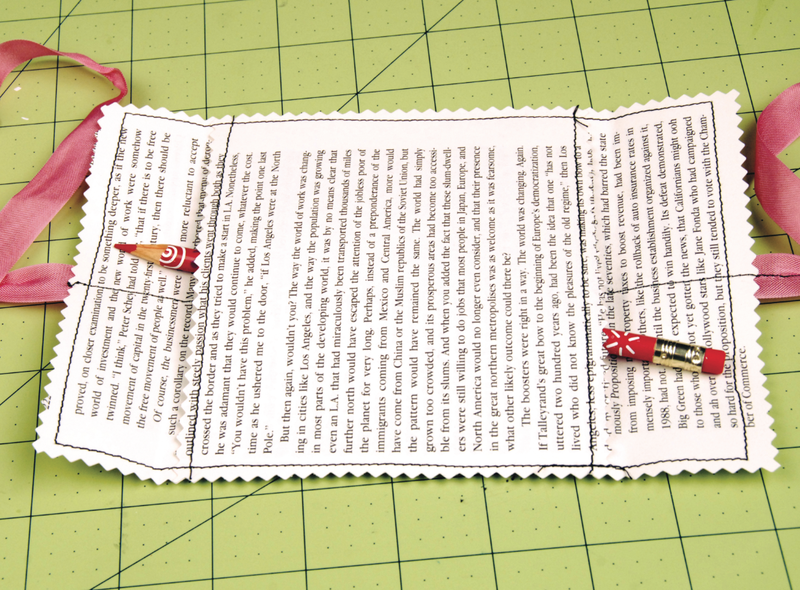 Place that stitched page on the larger pages and stitch around the entire envelope. 6. Pink around all the edges. 7. 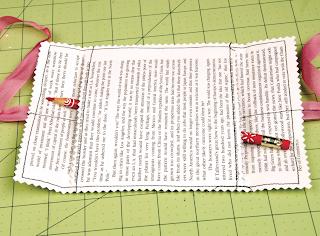 Fold the flap over and seal with a glue stick once you’re ready to send it off. 2. 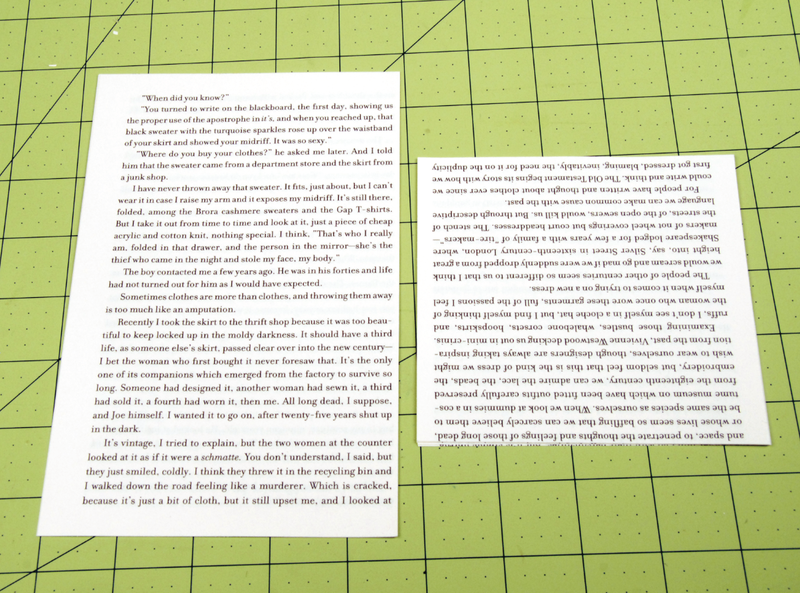 Cut 2 of the book pages about 3” shorter than the other two. 3. 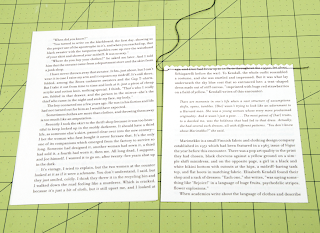 Stitch on the top and bottom of the shorter pages and the top and bottom of the larger page. 4. Pink the edges just above where you stitched. 5. 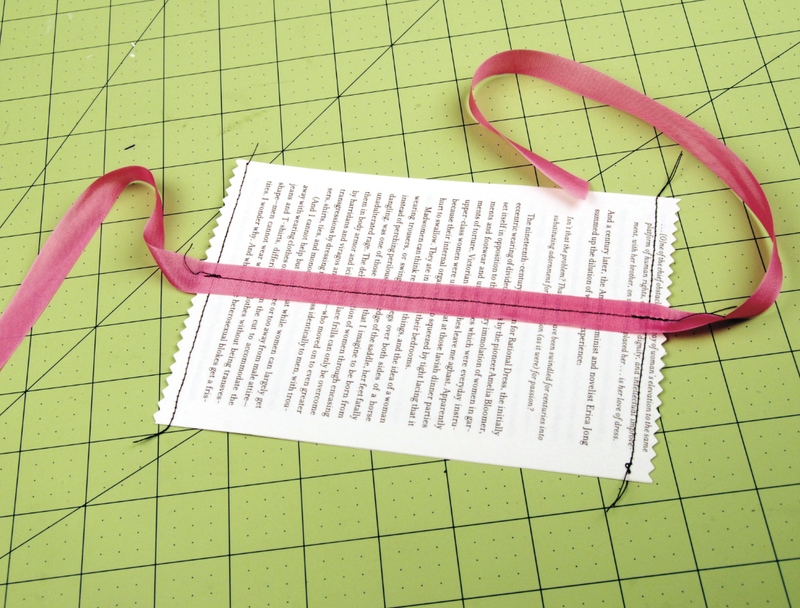 Stitch the seam tape down the center of the larger piece. 6. 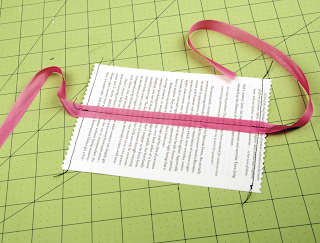 Place the smaller piece in the middle of the larger piece with the seam tape on the outside and stitch down the sides. 7. 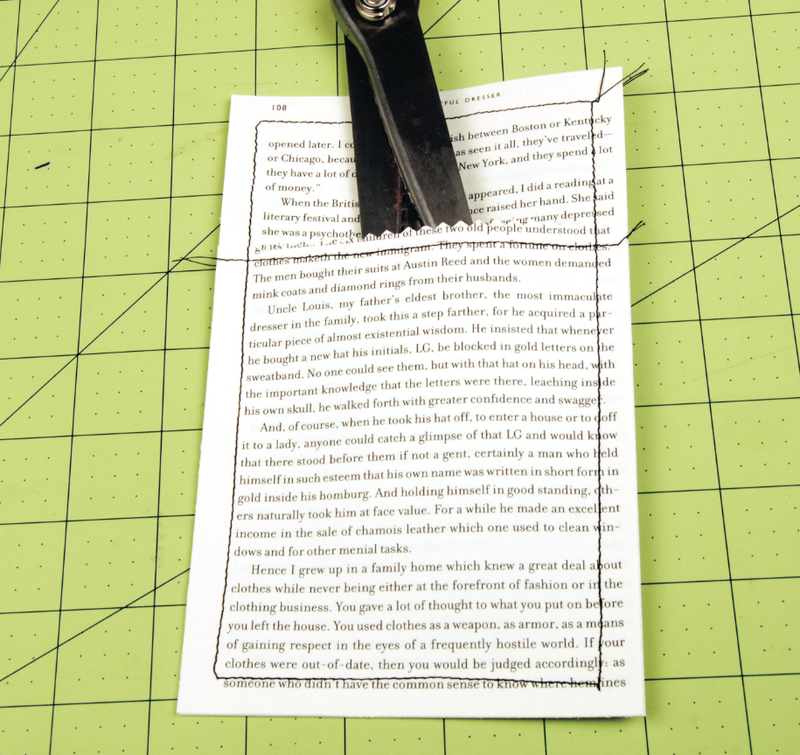 Fold the flaps over and tie. What a great idea. These turned out awesome. Thanks for another day of great inspiration. Thanks for showing me how to as well. Love,love,love this! 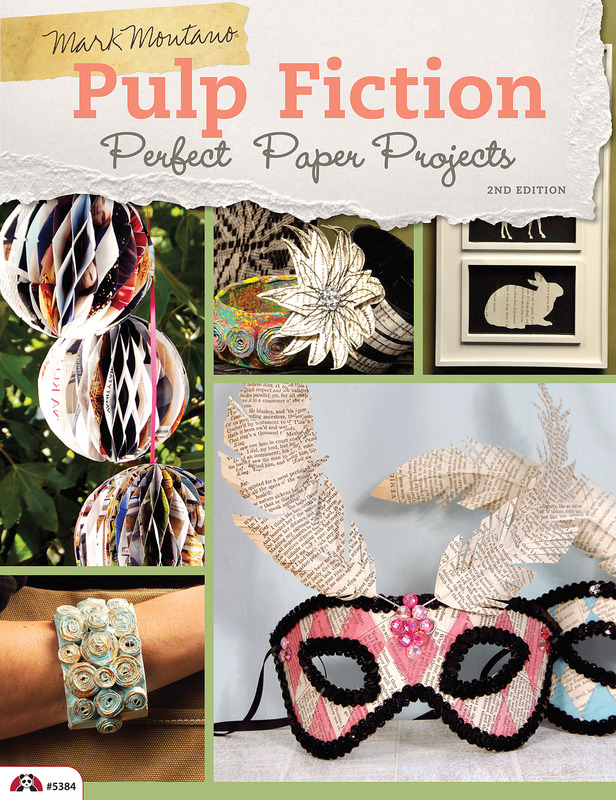 Would look great with old, antique music sheets! Thank you Mark, for another great tutorial. Beautiful! I love these. Thanks for the awesome tutorial. 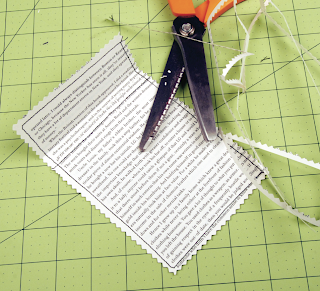 I like Rhonda's idea of using sheet music too. I think this may be a must have book!! !